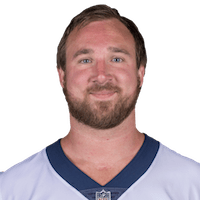 Longacre (concussion) has returned to Sunday's game against the Saints, Myles Simmons of the Rams' official site reports. Analysis: Longacre was evaluated for a concussion after exiting the Week 9 matchup due to a head injury, but appears to have passed all tests and has returned to the field. He'll return to his role as a rotational pass rusher for the remainder of Sunday's contest. 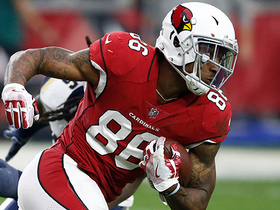 Longacre is being evaluated for a concussion and is questionable to return to Sunday's game against the Saints, Rich Hammond of the Los Angeles Daily News reports. Analysis: Longacre left the field during the first half of Sunday's contest after sustaining a head injury. If the rotational linebacker is unable to return Week 9, one of John Franklin-Myers, Bryce Hager or Ramik Wilson could receive increased defensive snaps. 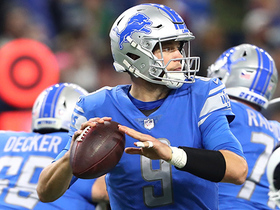 Detroit Lions quarterback Matt Stafford launches ball down the middle to tight end Levine Toilolo for a 39-yard gain. San Francisco 49ers quarterback C.J. 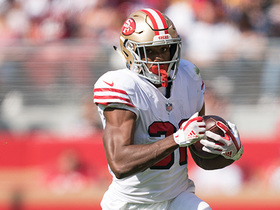 Beathard tosses a quick shovel pass to running back Raheem Mostert who picks up 23 yards. 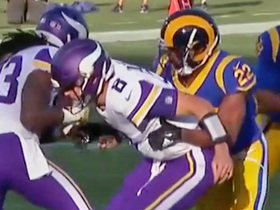 Los Angeles Rams cornerback Marcus Peters breaks through the line to tackle Minnesota Vikings quarterback Kirk Cousins after he handed the ball off to running back Dalvin Cook in Week 3. Blaine Gabbert finds Ricky Seals-Jones for 17-yayrd gain on third down. 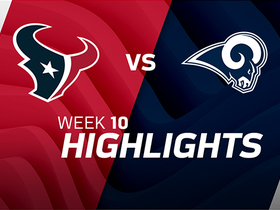 Check out highlights from the Houston Texans vs. Los Angeles Rams Week 10 matchup. 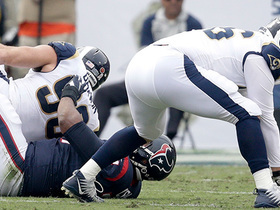 Los Angeles Rams defensive tackle Aaron Donald strip-sacks Houston Texans quarterback Tom Savage, Rams recover. 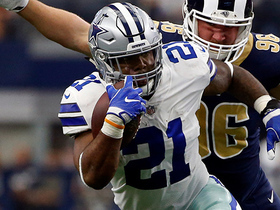 Dallas Cowboys running back Ezekiel Elliott runs right up the middle for a 15-yard gain.